The land belonged to Dominican priors who subsequently decamped to Blackfriars, whereupon the Earl of Lincoln built a house here. The earl bequeathed his home to a college of lawyers, who moved in sometime in the 14th century. The earliest buildings have not survived but the complex that evolved on the site has elements from every century since the 15th, including the Old Hall of 1492 and a chapel rebuilt in 1623. 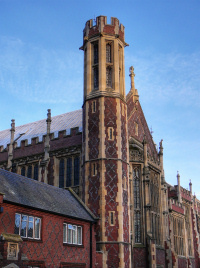 Visitors may walk around the precincts of Lincoln’s Inn between 7am and 7pm on weekdays and the chapel is open from 9am to 5pm, also on weekdays. Guided tours of the Inn’s buildings are given on the first and third Friday of every month at 2pm. Other tours may be booked in advance. 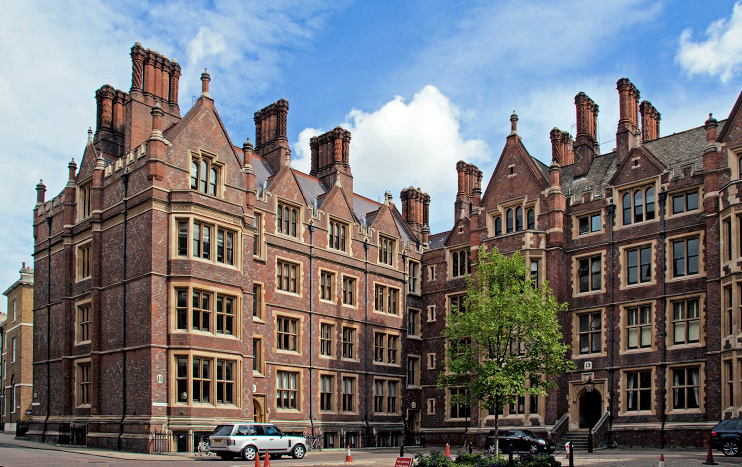 Property developer William Newton acquired the twelve acres of Lincoln’s Inn Fields in two stages, in 1629 and 1638, and began to erect houses on each side except the east, which backed onto the buildings of the inn. It is said that Newton employed Inigo Jones as the scheme’s architect but this is doubted by some. The only survivor from Newton’s project is Lindsey House, home of the Earl of Lindsey in the early 18th century. Much of the square was inappro­pri­ately redeveloped in the 19th century but more recent neo-Georgian replace­ments have attempted to match the earlier scale. Sir John Soane bought No.12 Lincoln’s Inn Fields in 1792 and subsequently acquired numbers 13 and 14, and had rebuilt them all by 1824. Soane was the architect of the Bank of England, Dulwich Picture Gallery and three London churches, and he created an ‘academy of archi­tecture’ within his home, which he left to the nation on his death. The resulting museum is a treasure house – or rather three inter­con­nected houses – of art and artefacts, including Hogarth’s Rake’s Progress, preserved in an intim­ately domestic context. Of the square’s other buildings the most notable is the headquarters of the Royal College of Surgeons, designed by Sir Charles Barry in 1835, which incor­porates the Hunterian Museum. In nearby Portsmouth Street is the Old Curiosity Shop, erroneously claimed to have been the inspir­ation for Dickens’ creation but looking very authentic all the same. Populated by strolling barristers on weekdays, Lincoln’s Inn Fields until recently provided a dormitory for London’s homeless after dark. Many have now been displaced to surrounding street doorways. The actress and royal mistress Nell Gwynne lived in Lincoln’s Inn Fields and her son, the Duke of St Albans, was born in her lodgings there. * The photograph of Lincoln’s Inn Old Square at the top of this article is copyright Tony Hisgett, made available under the Attribution 2.0 Generic licence at Flickr. Any subsequent reuse is freely permitted under the terms of that licence.